Did you miss Creation and the Gospel Conference, or just want to hear it again? 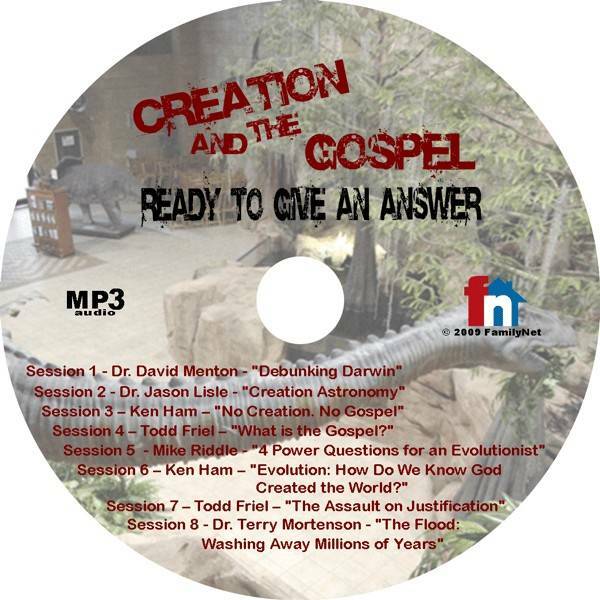 Creation and the Gospel MP3 Audio Disc Did you miss Creation and the Gospel Conference, or just want to hear it again? Here are all 8 sessions for you on one MP3 Audio disc. Session 4 – Todd Friel – “What is the Gospel? – A Survey of Other Presentations & Heresies”. Session 7 – Todd Friel – “The Assault on Justification”.